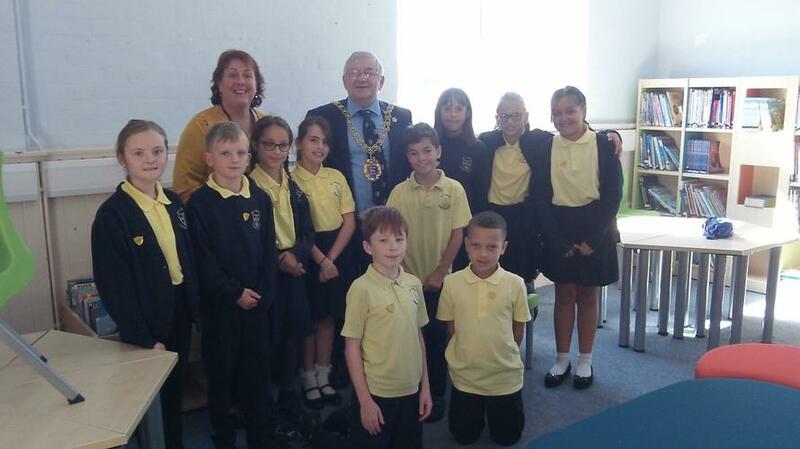 Friday 7th September was a very exciting day at All Saints CE Junior Academy, as our Mayor (Nigel Sinden) visited us. The reason for his visit was to announce our new school council members and present their badges. The school council had been voted on by their class members in a democratic voting system. Mrs Hinxman alongside the Mayor welcomed the new council members and looks forward to their year ahead in helping to make improvements to our school and local area. As well as this, our International Pupil Council was introduced to the whole school and they have their very first meeting at All Saints next Thursday. Layla and Holden will continue in this role and feedback to our school council on global international days and any areas linked to our partnership link in Sierra Leone.